The film takes you on a funny, rustic and romantic journey of love in the times of guns, goons and grenades. Discover a new and sweet facet of Bihar and Biharis that you perhaps never knew existed. Unless, of course, you are a Bihari yourself. 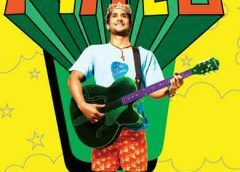 Jo Dooba So Paar, Its Love in Bihar is the story of the lovable Bihari boy Keshu (Anand Tiwari), son of a truck driver and a school drop-out, and his one-sided love affair with the US-bred Sapna (Sita Ragione Spada), who makes a sudden entry into his village on a college project. This American girl has come to the town to do a research on Madhubani paintings. Sapna also enjoys spending time with Keshu, and so Keshu thinks that she too is interested in him. His friends tune him up to express his love to her. She has a strict uncle and Keshu has a temperamental father. Anyhow, he overcomes fears of social norms and gathers confidence to express his love to her. Just as he has gathers courage to express his love to her, he is in for a rude shock when he sees Sapna cozying up to her American boyfriend, Mike (Alex O’Neil), who has come to meet her. Our lady is oblivious to Keshu’s feelings and is happy with her American boyfriend when the sudden twist in the tale happens. 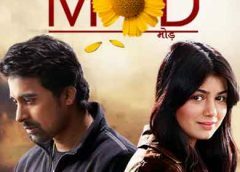 Sapna gets kidnapped, and both her actual and wannabe boyfriends go about finding the girl with Keshu’s motley bunch of friends and the Bihar Police. Keshu pretends not to be bothered about Sapna, but is soon searching for her, along with his friends and a police hawaldar, Tokan (Vinay Pathak). Their search takes them to Bodhgaya where the identity of the kidnappers is revealed. It shocks everyone, and how Keshu resuces Sapna from the kidnappers is the rest of the story. While Jo Dooba So Paar, Its Love in Bihar is a story set in contemporary Bihar, it can be a story taking place anywhere in the country, speaking the very pure and commonplace language of love, affection, warmth and togetherness. The atmosphere of the small town in Bihar is well recreated. One does fall in love with Bihar, and falls in love with a Bihari in love! 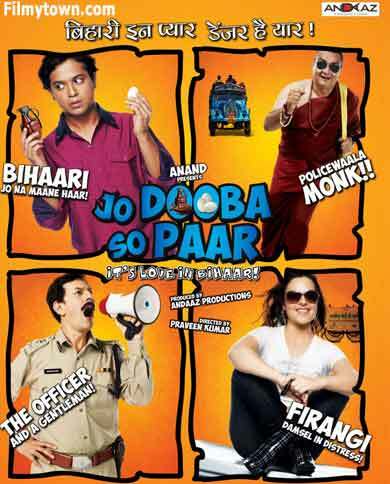 This comedy drama has a lackluster screenplay, with excellent performances by Anand Tiwari and Vinay Pathak.